Get a grip lad! Only girls cry! Don’t be such a sissy! Even before our fathers were born men weren’t considered men without that stiff upper lip mentality. Isn’t it a wonder that more men than women have such a hard time dealing with emotions? And it is the stiff upper lip and boys don’t cry culture that I want to help eradicate with My Mood Stars. 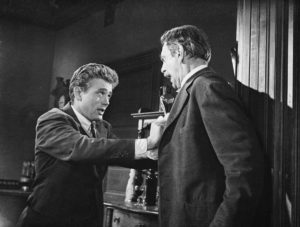 It was the highly talented and far too soon taken from us James Dean who was the first man I remember seeing as a troubled teenager cry in the film East of Eden. but I thought it was the most beautiful and touching thing that I’d ever witnessed. I was one of five – I had a twin brother. Back in those days, I was born in 1959, boys weren’t “allowed” to show their emotions. If my twin brother cried – he was hit, if he cried for being hit, he was hit again. He took his life at 21 years old. Today, he would, without doubt, have been saved. In those days the men ruled with an iron rod and woe betide any wife and mother who was about to question her husband’s actions. Today, we would like to think that women would have a predominant feeling to kill whoever struck a blow to their children, but even now there are horrendous examples of domestic abuse where women are just too afraid to stand up to the men who have complete and utter control of their lives. The latest figures show that male suicide rates across the UK are three times higher than female suicide rates. Why is this? As I’ve noted earlier the stiff upper lip, boys don’t cry, etc. has a lot to answer for. 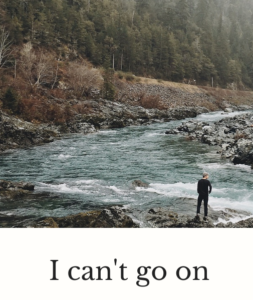 And If emotions are repressed and showing weakness is a sign of being unmanly, if strength is the only attribute that a man can show, then when times get really tough and stiff upper lip alone won’t cut it, the only remaining option is to give up altogether. The office for National Statistics say UK male suicide rate lowest since time began in 1981. “The 2018 suicide rate for males in the UK was 15.5 deaths per 100,000 (4,382 deaths); this is the lowest rate since the time series began in 1981. This is reassuring news and I believe that it is due to an upward trend whereby young boys are being allowed, if not encouraged by friends and family to display their emotions without any stigma attached. If you speak to most young parents today, they will say that they don’t see any harm in letting boys show their emotions. This will have to impact on the number of men committing suicide in the future. Enter My Mood Stars at Circle Time. The eight plush Stars on their own My Mood Stars board, are passed around each child like pass the parcel. The Stars stop at Jamie. The stars stop at Hannah. 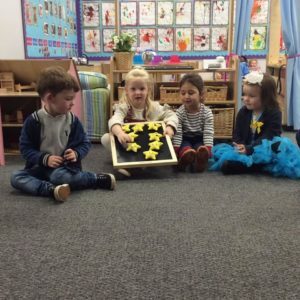 How much easier is it going to be for Freddie to share his thoughts and worries with the class if they are all sharing their feelings before him? My Mood Stars, whether due to their sensory aspect, hand-sized shape, non-gender/culture/age specific appearance being used in a group, or a one to one encourage children to identify emotions, not only theirs, but those of others which is so important for children with ASD. Boys love to throw! An innate desire possibly from hurling spears at mammoths back in the day! 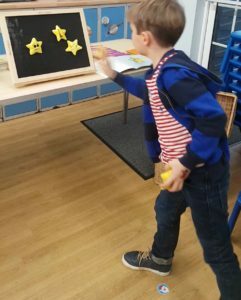 When My Mood Stars are thrown at their My Mood Stars boards, it gives the child an opportunity to vent safely. I have seen seven year old boys in mid tantrum dissolve into fits of giggles by throwing the My Mood Stars at their board. It’s really fun way of diverting boys away from their rage. 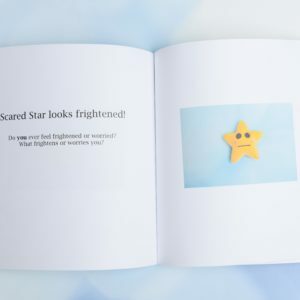 The My Mood Stars book is another way of encouraging boys to talk about their emotions. A real cuddle up with Mummy or Daddy, Granny or Grandad book, and an opportunity to share how each other is feeling. It’s just as important for you to share your feelings as it is for your young boys to share theirs. And if they are just not in the mood to talk, the My Mood Stars book provides a space on each page for drawings or notes. So there’s a space under each Star which asks a sensitive question about how the reader is feeling.